Concering Ralf Hartemink site - The correct name of the district is Budapest XVII. The district is the union of some formerly villages united with Budapest in 1950. 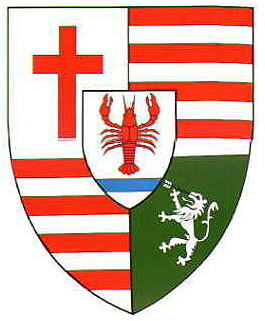 (Rákoscsaba, Rákoshegy, Rákosliget, Rákoskeresztúr etc.). The horizontal flag is based on Željko Heimer's photo. Budapest XVII: Hanging flag on the City Hall. Blue-green with the coat of arms.